William Hamilton, 2nd Duke of Hamilton was born on 14 December 1616 at Hamilton, ScotlandG.1 He was the son of James Hamilton, 2nd Marquess of Hamilton and Lady Anne Cuninghame.1 He married Lady Elizabeth Maxwell, daughter of James Maxwell, 1st Earl of Dirletoun and Elizabeth de Boussoyne, on 26 May 1638 at St. Anne's Church, Blackfriars, London, EnglandG.1 He died on 12 September 1651 at age 34 from wounds sustained 9 days earlier, without surviving male issue.1 He was buried at Worcester Cathedral, Worcester, Worcestershire, EnglandG.1 His will (dated 28 May 1650) was proven (by probate) on 28 September 1652. [S6] G.E. Cokayne; with Vicary Gibbs, H.A. Doubleday, Geoffrey H. White, Duncan Warrand and Lord Howard de Walden, editors, The Complete Peerage of England, Scotland, Ireland, Great Britain and the United Kingdom, Extant, Extinct or Dormant, new ed., 13 volumes in 14 (1910-1959; reprint in 6 volumes, Gloucester, U.K.: Alan Sutton Publishing, 2000), volume VI, page 263. Hereinafter cited as The Complete Peerage. From 26 May 1638, her married name became Lady Hamilton. After her marriage, Lady Elizabeth Maxwell was styled as Duchess of Hamilton on 9 March 1649. From 19 June 1655, her married name became Lady Dolmahoy. [S15] George Edward Cokayne, editor, The Complete Baronetage, 5 volumes (no date (c. 1900); reprint, Gloucester, U.K.: Alan Sutton Publishing, 1983), volume III, page 59. Hereinafter cited as The Complete Baronetage. [S6] G.E. Cokayne; with Vicary Gibbs, H.A. Doubleday, Geoffrey H. White, Duncan Warrand and Lord Howard de Walden, editors, The Complete Peerage of England, Scotland, Ireland, Great Britain and the United Kingdom, Extant, Extinct or Dormant, new ed., 13 volumes in 14 (1910-1959; reprint in 6 volumes, Gloucester, U.K.: Alan Sutton Publishing, 2000), volume VI, page 264. Hereinafter cited as The Complete Peerage. He was given the name of William Douglas at birth.1 He was created 1st Lord Daer and Shortcleuch [Scotland] on 4 August 1646.1 He was created 1st Earl of Selkirk [Scotland] on 4 August 1646.1 On 20 September 1660 his name was legally changed to William Douglas-Hamilton.1 After his marriage, William Douglas-Hamilton, 1st Earl of Selkirk was styled as Lord Machansyre and Polmont on 20 September 1660.1 After his marriage, William Douglas-Hamilton, 1st Earl of Selkirk was styled as Duke of Hamilton on 20 September 1660.1 After his marriage, William Douglas-Hamilton, 1st Earl of Selkirk was styled as Marquess of Clydesdale on 20 September 1660.1 After his marriage, William Douglas-Hamilton, 1st Earl of Selkirk was styled as Earl of Arran, Lanark and Selkirk on 20 September 1660.1 He was appointed Privy Counsellor (P.C.) [Scotland] on 13 February 1660/61.1 In 1676 he was deprived of his Privy Counsellorship [Scotland].1 He was appointed Knight, Order of the Garter (K.G.) on 25 September 1682.1 He was appointed Privy Counsellor (P.C.) [Scotland] in 1685.1 He held the office of a Commissioner of the Treasury [Scotland] between 1686 and 1689.1 He held the office of an Extraordinary Lord of Session [Scotland] between 1686 and 1689.1 He was appointed Privy Counsellor (P.C.) on 14 October 1687.1 He abdicated as Earl of Selkirk and Lord Daer and Shortcleuch on 6 October 1688.4 He held the office of High Commissioner [Scotland] from 1689 to 1690.1 He held the office of President of the Convention at Edinburgh on 14 March 1688/89, which declared the Scottish throne vacant.1 He held the office of High Admiral [Scotland] between 1692 and 1694.1 He held the office of High Commissioner [Scotland] from 1692 to 1693.1 He held the office of an Extraordinary Lord of Session [Scotland] from 1693 to 1694.1 Cockayne states that "the Latin inscription on the monument put up by his widow at Hamilton records that he was 'often viceroy in the meetings of the three estates; president of the secret council in Scotland; secret counsellor in England to three successing Kings.' The character given of him by Bishop Burnet, who knew him well, is that 'he wanted all sorts of polishing; he was rough and sullen, but candid and sincere. His temper was boisterious, neither fit to submit nor to govern. He was mutinous when out of power and imperious in it.' " Gibbs goes on to quote " '... he seemed always to have a regard to justice and the good of his country; but a narrow and selfish temper brought such an habitual madness on him, that he was not capable of designing or undertaking great things'. His nephew, William, Earl of Annandale, writes of him at the time of his death in a similar strain. 'If his temper, constancy, and good humour had been suitable to his aprts, his loss had been a great deal more sensible to the nation'. 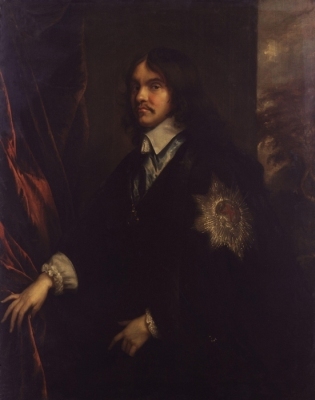 He was 'a cunning man for his own interest, but else his parts indifferent,' according to Lord Ailesbury, who also alleges that he put into his own pocket large sums paid to him by King Charles II to appease 'the great discontents of the Highlanders.1' "
[S6] G.E. Cokayne; with Vicary Gibbs, H.A. Doubleday, Geoffrey H. White, Duncan Warrand and Lord Howard de Walden, editors, The Complete Peerage of England, Scotland, Ireland, Great Britain and the United Kingdom, Extant, Extinct or Dormant, new ed., 13 volumes in 14 (1910-1959; reprint in 6 volumes, Gloucester, U.K.: Alan Sutton Publishing, 2000), volume VI, page 265. Hereinafter cited as The Complete Peerage. [S6] Cokayne, and others, The Complete Peerage, volume XI, page 616. [S6] Cokayne, and others, The Complete Peerage, volume VI, page 266. [S6] G.E. Cokayne; with Vicary Gibbs, H.A. Doubleday, Geoffrey H. White, Duncan Warrand and Lord Howard de Walden, editors, The Complete Peerage of England, Scotland, Ireland, Great Britain and the United Kingdom, Extant, Extinct or Dormant, new ed., 13 volumes in 14 (1910-1959; reprint in 6 volumes, Gloucester, U.K.: Alan Sutton Publishing, 2000), volume IV, page 437. Hereinafter cited as The Complete Peerage. [S6] Cokayne, and others, The Complete Peerage, volume I, page 160. [S6] Cokayne, and others, The Complete Peerage, volume IV, page 438. From 15 September 1632, her married name became Douglas. [S6] Cokayne, and others, The Complete Peerage, volume I, page 52.